We are ranked 17th out of 205 schools in the district when it comes to students performing at or above grade level! We achieved an exceeding rating for students performing at grade level in both Literacy and Math when compared to similar schools. We are meeting expectation for how we serve students of color (meets), students in poverty (meets), and students with disabilities (exceeds). We are meeting expectations for parent engagement and student satisfaction. There are many reasons why UPark is a great school that go beyond the academic successes listed above. We pride ourselves on valuing each learner as an active participant on a personal journey toward success. 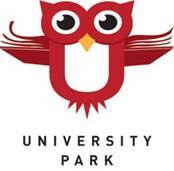 From our strong staff of dedicated teachers, supportive families and PTA, to our Green Team, Wellness Committee, Band and before and after school programming, UPark truly is a community of mighty thinkers and doers! To view the full report click here. I hope you will join us for our November PTA meeting where we will discuss the report in more detail. Get your registration in NOW for the 13th Annual UPark One Mile Fun Run and Carnival! This event is open to the community, so please invite relatives and neighbors. Registration is open ONLINE! Click HERE to register by Tuesday, Oct 23rd so that kids can have Fun Run t-shirts in time for spirit day. You can also purchase carnival wristbands, meal tickets and extra t-shirts online. Day of event registration for the Fun Run will be $5 dollars more so save by registering ahead. We need parent volunteers for the carnival and at the grill for lunch! Click HERE to help. We currently have only 6 parents signed up to help. We will have a pumpkin carving contest at the carnival so bring your pre-carved/decorated pumpkin - we will pick the scariest, funnies and most creative. Kids are also welcome to come in costumes. For more information on the Fun Run, check out the UPark Fun Run web page HERE. Thank you to our sponsors: Orangetheory Fitness (Cherry Hills), Evolve Martial Arts, CareNow Urgent Care, Kids Choice, Dartmania, Oak Environmental, Parkside Remodeling, ABCNannies and Angeltouch. Let's get running! Gearing up for the Fun Run, the before school running at UPark started on Monday, October 15th and finishes on Friday, October 26th. Kids will run on school days only (no school October 19, 22 & 23). Please volunteer to help before school. Meet us at the school track right behind the garden near the baseball fence. Younger (grades K-2) kids will earn charms for each lap completed and older grades will run laps to earn prizes. We'll be passing out charms for the younger runners and hole punching for the older runners. Lots of fun! Sign up HERE to help. UPark Auction Event at Vera Bradley-Cherry Creek Mall! Have you heard? Vera Bradley is releasing a special edition holiday print and it's.... OWLS!! Store Manager Kirsten Ziegler Pratt (parent to three UPark alumni!) is thrilled to have the UPark Auction host an event in conjunction with the release of this new print. The shopping event will be held Thursday, October 25th from 6:30pm - 8:00pm. All UPark shoppers will get 15% off of their total order and a portion of the sales that night will go towards items for the UPark Auction! The holiday owl print is sure to be a hit and would make great teacher gifts! Light refreshments will be served during our shopping event. Vera Bradley is located inside the Cherry Creek mall on the upper level across from Macy's. Parking in the East Parking garage is closest. Check the University Park Facebook page in the coming days for the event invitation or email auction@uparkpta.org and be sure to RSVP! Spirit Week is just around the corner from Monday, October 29th-Friday, November 2nd. Remember your child does NOT have to participate if they don't want to, it is optional, but we hope they will. Thank you! Health screenings for Kindergarten, 1st, 2nd, 3rd, and 5th grades will be October 30th through November 2nd. Screenings are not an assessment or an evaluation. Click here to read the Nursing Services Screening Letter with more information. If you do not want your child to participate, please email Antoinette, our school nurse, prior to October 30th. If your student is absent through screenings or did not have optimal hearing, vision or dental screenings you will be notified in writing regarding the results. If you have any concerns or questions please contact Antoinette at antoinette_schmitz@dpsk12.org. UPark's annual Halloween parade around the track starts around 9:15 with Mr. Herman leading the classes through the school and out to the track! Families are welcome to come watch. The school band will be playing a festive set while the classes parade. If students are planning to wear costumes for the parade they must wear them to school with regular clothing underneath or with a change of clothes in the backpack. Costumes must be taken off before recess/lunch. Classroom celebrations will follow the parade. Specific information will be communicated by room parents or teachers with specific needs. Keep the scary stuff at a minimum for school celebrations (we have young students who will be watching also). Adult visitors may not wear masks on school property. Do not send Halloween candy to pass out. Pearl Wine Company is giving 100% of the ticket sale proceeds for their upcoming 3rd Anniversary Wine Tasting event on November 3rd to neighborhood schools, including UPark. Attendees will have the opportunity to taste over 150 wines and receive event only discounts on orders. Tickets can be purchased from the UPark PTA for $40 (via cash or check made out to "UPark PTA"). Email vp@uparkelementary.org to purchase a ticket, or talk to PTA VP Angela Rathbun on the playground at pickup or drop off. Space Gallery, 400 S. Santa Fe Dr.
Online Sales will be from October 28th through November 12th. Click HERE for the interactive flyer and to purchase books through the online store. Families now have the option to make student payments online, thanks to a DPS partnership with MySchoolBucks. With a Parent Portal account, paying for meals, ECE or full-day kindergarten tuition and student fees - like field trips or classroom supply fees - has never been easier! We want to be sure the tool is easy for you to use. That's why there's payonline.dpsk12.org , a site that provides detailed instructions on how to sign in to MySchoolBucks through your Parent Portal account or access MySchoolBucks.com directly. On payonline.dpsk12.org , you'll also find a MySchoolBucks user guide that can be translated into multiple languages and contact information if you need support. Austin will be out of the office Thursday, October 11 - Thursday, October 25. Please contact Kyle Wiley for any Discovery Link or Enrichment absences during this time at (720) 467-1671 or kyle_wiley@dpsk12.org. E-mail communication works best. For immediate assistance with other questions about Discovery Link - contact Jesse Broadfoot at jesse_broadfoot@dpsk12.org. Winter Enrichment planning has started and the brochure will be sent out by Monday, October 29th. The registration window will be announced upon brochure release. Remember, current Discovery Link & enrichment families do not need to make a new account! Winter enrichment sessions begin on Monday, November 26th. With autumn weather finally here... remember to start sending coats and warm gear for those who want to get out the wiggles outdoors before & after school!